How would you like to receive your book? Bishop Thompson serves as founder and Senior Pastor of Calvary Temple Christian Center Ministries, Inc. which is one of the most progressive and fastest growing ministries in the city since August of 1995. This multi racial, anointed church has increased in membership and on any given Sunday you will find the sanctuary, which seats 1000, filled. Bishop is also the founder of the International Royal Priesthood Fellowship, which is a fellowship of churches with ministries presently in US as well as Jamaica. Bishop along with his wife traveled to Rome Italy with the Joint College of African American Bishops where he received the 2nd certification for the Office of Bishop, with the elevation to Bishop-elect under the Joint College of African American Bishops in March 2004. He had the awesome privilege of being in service with Pope John Paul II at Vatican City. They were also special guests to the Vatican and were the dinner guests of Ambassador to the Vatican. This eight-day conference was where he witnessed Rome like as unto the apostles. The Proclamation Service electing him as Bishop of the ‘INTERNATIONAL ROYAL PREISTHOOD FELLOWSHIP’ was held on January 20, 2008. His local television and radio broadcasts, which are Statewide, is noised about as one of the most watched and talked about in the state of CT!! Combined they reach thousands weekly. 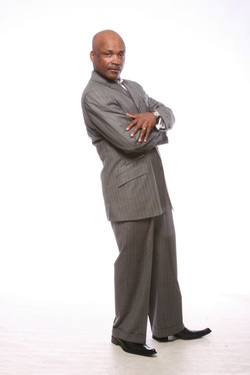 2008 launches the National “Nu-Faith” TV program which reaches approximately 14million homes throughout the U.S. His annual “No More Drama Fellowship Conference” totals just over $100,000 in gifts and vouchers. Through the blessings of God this conference has facilitated such gifts as rent payments, credit card bills, cell phone payments, grocery vouchers, haircuts to single mothers with male children, utility payments and much more for anyone in attendance (the saved, unsaved, members and non members alike). Bishop Thompson is especially pleased to have given away the 5 vehicles to-date, through the No More Drama Fellowship Conferences. Bishop ministers to the churched and un-churched with very racy subjects such as: “How To Survive The Consequences Of Your Behavior”, “How To Live With A Mistake”, and who can forget “She’s No Longer A Threat” and “Women Under Construction”, “Player don’t get Played”, just to name a few. Bishop Thompson’s academics include four years of theological studies from New England regional theological Bible Institution and he continues his education just a few credits away from a degree in Psychology. He has attained his Master’s in Theology and is currently pursuing his doctorate through ‘His Excellence’ Theological Seminary. 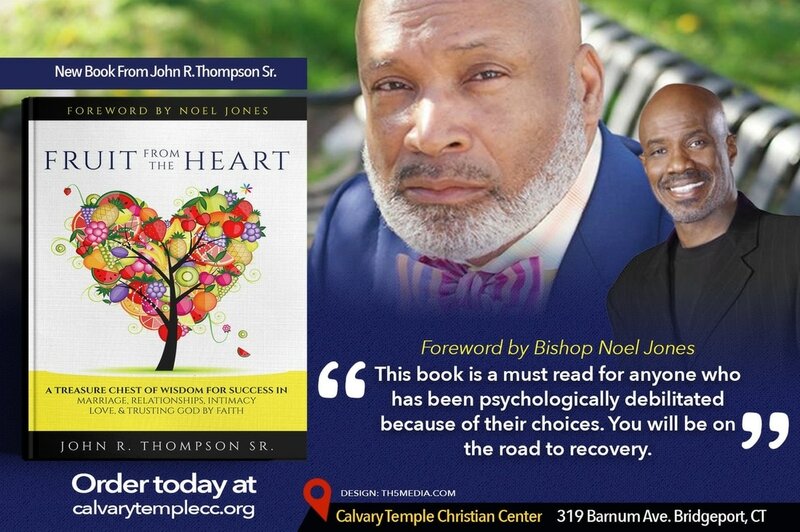 He is the President of J. R. Thompson Ministries Inc. Bishop Thompson along with his wife, Lady Thompson are entrepreneurs having purchased and sold over $1 Million dollars in real estate. They continue to pursue wise investments for the Kingdom. Bishop Thompson is a family man. His wife, 1st Lady Jenice R. Thompson has been saved since February of 1972. He is in love with her deeply and if you’re around him for just a few minutes, he will let you know it because he talks about her all the time. Together they have two sons, John R. Thompson, II and Justin R. Thompson. Bishop believes in a lifestyle of worship where your decisions and choices worship the Lord. As he continues to state; you can live in the prophecy of your destiny and not in the character of your environment.